Vista supplies quality double glazed PVCu door panels to fabricators across the UK. Our PVCu panels are thermally efficient and can be reinforced for a high level of door security. 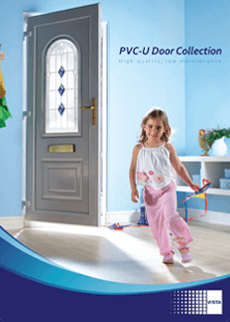 Our door panels are made up of two PVCu skins pressure bonded to a core material of E.H.D.F.R.A (Extra High Density Fire Retardant Additive) polystyrene using a specially formulated adhesive that’s both heat and moisture resistant. We can supply uPVC panels with a large range of glazed cassettes, stained glass options and foils, with matching sidelights. We guarantee fast lead times, on-time delivery nationwide and competitive trade prices. For more information please call us on 0151 608 1423 or enquire here and we’ll be in touch. 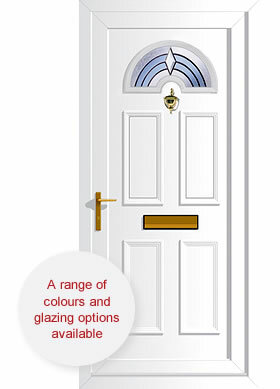 Our door panels are available in a variety of colours to suit most profiles, plus wood grain effect and dual colour options. Offer your clients a wide range of glazing options from Pilkington, including obscure and decorative glass, and sandblasted and bevelled designs. Some styles are also available with triple glazing for maximum efficiency.